We bring our makerspace to you! In our innovative STEAM outreach program, trained staff bring the excitement of hands-on, educational programs into your classroom, youth center, library or after-school program. Our approach to STEM includes an “A” STEAM .- by including the “A” (art) we incorporate creativity, design-thinking, communication, and artistic skill - allowing students to bring their innovations to fruition. We have over 12 programs to choose from and each program meets Common Core State standards as well as Next Generation Science standards. As part of our programs, we introduce students to various careers in STEM, but we also ensure that they appreciate that creativity and innovation are at the heart of careers in science, technology, engineering and math. We ensure your students know that these are not isolated career practices, but rather are careers filled creative minds who work collaboratively as critical thinkers, problem solvers and entrepreneurs. We approach STEM using the “A”—not just because real STEM professionals need artistic and design skills to be better STEM professionals, but because the arts are a way to recruit students to the wonders of STEM. At the outset of our programs kids often are apprehensive about careers in STEM, viewed as too hard or not obtainable, after participating in our programs most kids are interested in STEM careers and taking higher level math and science courses. They become curious about careers in STEM and they feel like they can do it. Support California Department of Education initiatives aimed at bringing diverse activities with a distinct variety of stimuli, entertainment, and creativity-building tools. Enhance 21st century skills in children in an effort to prepare children for an increasingly competitive economy that demands critical thinking, problem solving, and innovation. Demonstrate the value of a children's museum focused on enhancing creativity. Gain an experiential track record for our organization, staff, and volunteers that will also allow for the testing and refinement of program concepts. Have us come to your school or community location for some creativity-enhancing, hands-on, S.T.E.A.M.-based workshops. We bring the materials, the staff, and the knowledge to your location — you bring the creativity! We have numerous options available for classrooms, scouts, teachers, and corporate professionals. For additional questions or special circumstances, please email Gerry Artman at gerryartman@childcreativitylab.org. 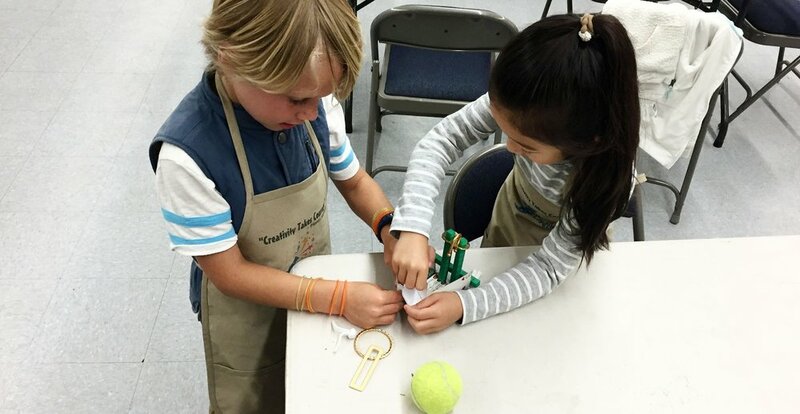 Our STEAM + Creativity program is designed for pre-K through 8th graders and can accommodate groups with up to 32 participants or more depending on the type of program. Workshops and programs are available to a variety of audiences, including schools, after-school programs, libraries, hospitals, festivals, summer camps, community centers, and faith-based organizations. The organization's educational programming utilizes an overarching child development learning platform based on experiential learning theory (ELT), which learning theorist David Kolb described as "the process for whereby knowledge is created through the transformation of experience". During the workshops, children experience and act on their own original creative thought along with opportunities to process and reflect upon their unique experiences. The goal is that children will be able to generalize what they have experienced at the CCL and apply their newfound creativity to everyday life, whether it is a similar or different situation. Furthermore, experiential learning focuses on individualized education meaning all children who attend a Museum-on-Wheels program will have a one of a kind creative learning experience. Specific activities include role-playing to bring stories and personalities to life; various art disciplines introducing children to new ways of seeing and thinking; activities supporting increased patience, concentration, and processing and sequencing skills; and providing a rich sensory environment through musical instrument activities. The educational programs are facilitated directly on-site at different locations all around Orange County. 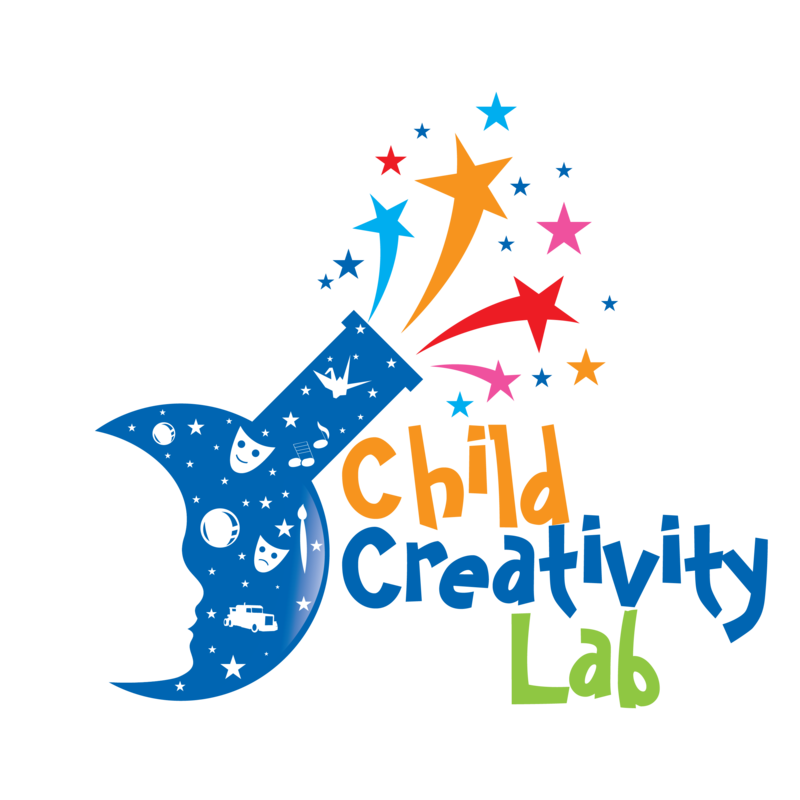 The Child Creativity Lab provides all materials, educational programming, artist/creativity educators, and volunteers for each STEAM + Creativity Mobile Makerspace program. Programs are primarily geared towards children in the age of 5 - 11, but are appropriate for K-12 students.